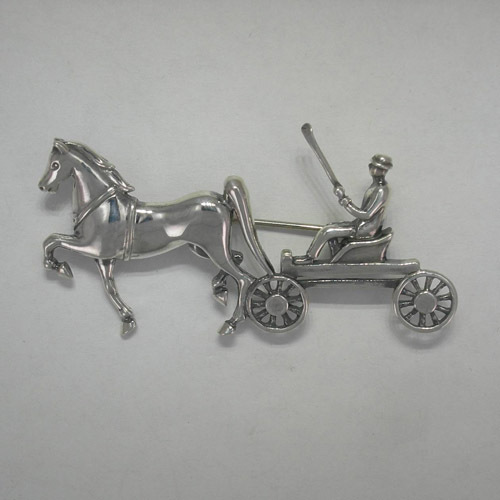 Desc: Sterling Silver Saddlebred carriage horse and cart brooch. The Saddlebred is trotting along with raised head and elevated tail. The gentleman is driving the horse harnessed to a four wheel open cart. The brooch has a bright polish finish. Made in the United States of America.